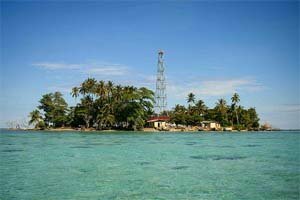 Mansalaar Island, known well as Mursala Island, is the biggest island in Central Tapanuli district and was used once as a place to make the Hollywood movie KingKong (2005) for it's amazing scenery. This 8,000 hectare island is located 14 miles away from Sibolga on the east coast of North Sumatra, The island is surrounded by amazing white sand beaches but the most interesting spot to visit here is the famous Mursala Island Waterfall. This 35 metres high waterfall is unique as the stream falls directly into the ocean. There are only a few waterfalls like this in the world, two of them are in Indonesia (the other one is Kahatola Waterfall in Maluku). The water of Mursala Waterfall originates from the shortest river in the world, 400 metres wide and 700 metres long, running through granite rocks sounding tumultuously making the scenery even more impressive. The waterfall has its own legend. It is said that this waterfall was the playground of a gorgeous princess named Princess Runduk, famous for her beauty. According to legend the upstream of this waterfall was her bathing place. There are several other tourist highlights around Mursala Island which you can visit. 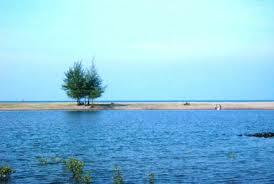 - Jambe Island: shallow water area with many kinds of coral and fish. 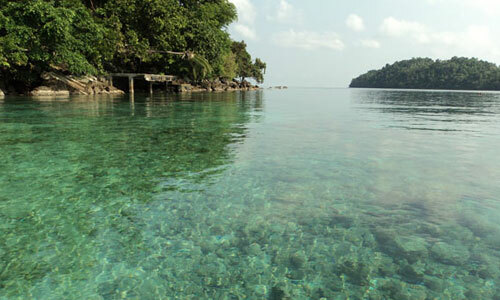 - Labuan Hunik Bay: good site for diving and snorkeling. - Silabu Na Menek Island: Here is a stone shaped like a bird at a height of 70 metres named the Garuda Stone and natural growing Bonsai trees, the Pinang Merah. 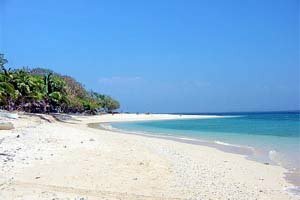 - There is a lagoon with white sand connecting Silabu-labu Na Godang and Kalimatung Na Menek Islands. 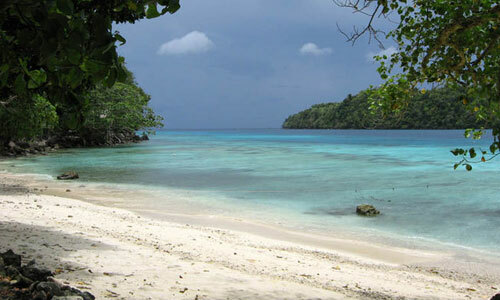 - Puti Island: an island with white sand beach and shallow waters with beautiful sea ecosystem. From Sibolga you can to the island from the port in Pandan district, Sibolga using a speedboat, this is the expensive option though as you would need to rent the whole boat for IDR 1,300,000 per boat but it only takes an hour. You can also take a regular boat for the 3 hours trip. Scores on a ten-point scaled. Based on 12 ratings. Need place to stay in Sibolga? 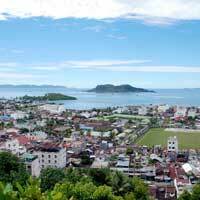 Look for more Cheap Flights to Sibolga.